So we went to Stop and Shop tonight for a few items and while looking around the seafood section (if you can even call it that) I found this. 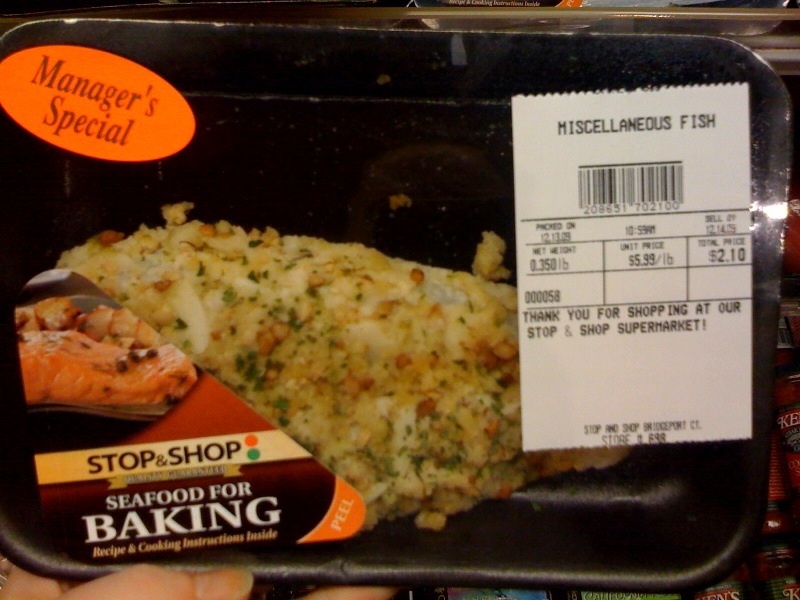 Miscellaneous Fish? Umm. Huh? Also note it’s a “Manager’s Special”. I know I talk a lot about knowing where your food comes from, but I never thought to mention it’s important to know what your food is. But hey, for only $2.10 I’m sure it’s a real deal! Entry filed under: Products. Tags: Connecticut, Fish, Stop and Shop.